Arriving at your very first duty station of your military career is an incredible feeling. First, you have an amazing feeling of butterflies because you finally get to go on your first deployment, patrol at sea, and perform your military duties in an actual military unit. Your second feeling is perhaps a feeling of dread because of the pressure to live up and be the soldier, sailor, marine, or airmen that you want to be and want to become. Here are a few pieces of the many pieces of advice you will receive on how to succeed at your first military unit. Lesson #1 – Listen and Learn from Your Non-Commissioned Officers (NCO) and Petty Officers. It does not matter if you are an officer, enlisted service member, or another NCO or Petty Officer, listening to your NCO’s and Petty Officer will help guide you down the correct path and actions. NCO’s and Petty Officers are the literal “backbone” in how things get planned and get accomplished in the U.S. Military. By listening, by learning, and by asking how to do well in a military unit from NCO’s and Petty Officers, you will begin your career successfully. Lesson #2 – Remember and Use Your Military Training. 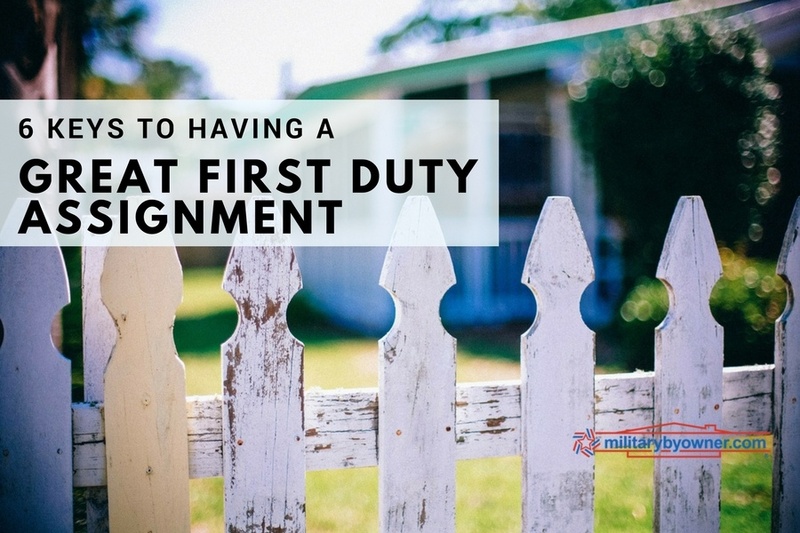 By just arriving at your first duty station, you have the latest and most up-to-date military and specialty training. As the person with the most up-to-date training, ensure that you use it and teach others what you have learned. In the military, it is a completely common experience that the newest person in the unit knows the most about the newest, just delivered piece of high tech equipment. The way to establish your personal credibility and help your unit is to share and teach the latest training with everyone. Lesson #3 – Be Prepared to Be the Point of (Small) Jokes. Being the “new guy” in a military unit means to be the point of focus and the point of jokes until there is a newer person in the unit. First, accept that these jokes happen to everyone: officer, NCO and Petty Officer, and enlisted. Second, these jokes will be funny, meaningful, and made in as large an audience as possible. Take the joke in stride and in good humor. Third, none of these jokes should be dangerous, humiliating, or personally demeaning to your character or background. If some of these jokes are, then go find an NCO or a Petty Officer. Lesson #4 – Take Advantage of All Your Military Base Has to Offer. Your military base has a great deal of activities, ways to save money, amazing physical fitness centers, and historical locations. Instead of driving to the closest bar, spend some time at your base's historical landmarks, save some money, and get in better shape. By discovering and using the free and discounted activities on your base, your will save money, learn military history, and become the best military person you can be. Lesson #5 – Have Spotless Personal and Professional Ethics. The U.S. Military is a profession and not a “job.” What that means is that everything that you say and do or don’t say and don’t do has tremendous personal and professional impact. Set your sights on having impeccable personal and professional conduct. Do not lie, do not steal, tell the truth even if it makes you look bad, complete your tasks to a 100% quality standard, and help others out. The profession of the military does not end at 1700 and sometimes not even at 0200. Do your best in all things. Lesson #6 – Find New Things to Learn and Take Responsibility. In every military unit, there are always new classes to take, new pieces of equipment to learn, old pieces of equipment to learn, and other tasks to master. Take advantage of any opportunity to learn. If your primary job is to operate communication devices, then learn how to shoot your unit’s primary weapon. If your job is to shoot, then learn how to administer first aid. Once you learn these new tasks, then look for ways to exercise initiative and take on new and more responsibility. Arriving at your first duty station is incredibly exciting. By listening, by learning, and by maintaining your personal and professional ethics, you will be able to take advantage of all that your unit and your base has to offer. Don’t forget to have fun!